Suppliers and wholesalers have now written to the Department of Health to warn that the supply of medicines ‘will grind to a halt’. 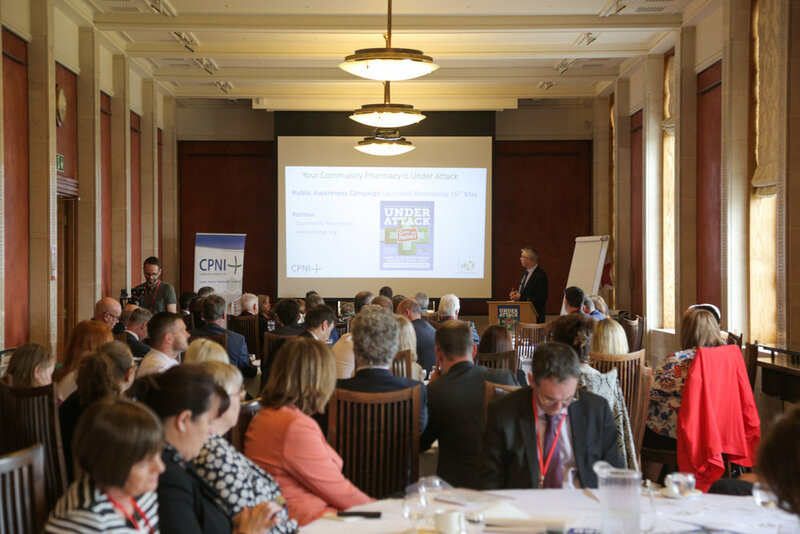 The Chief of Community Pharmacy NI has slammed Department of Health officials for ignoring repeated calls by the network, and now wholesalers, to save community pharmacy from imminent collapse. The situation has deteriorated so severely that it has now been revealed that several wholesalers have contacted the Department of Health to warn that the ‘supply of medicines will grind to a halt’ because of the credit worthiness of pharmacies. In one letter, a wholesaler has advised the Department that it has begun to see, with increasing frequency, pharmacies failing to pay their bills. Wholesalers have said that they have no other option but to call time on local community pharmacists. “It is not surprising to learn that several wholesalers have contacted the Department regarding this. We have been telling them for some time that community pharmacy is on its knees and cannot pay its bills. Gerard Greene, CEO, Community Pharmacy NI. “We have seen correspondence which shows that the Department was warned some time ago by a major wholesaler that the supply of medicines to patients could grind to a halt. “We have also been warning the Department that the failure to resolve this issue will have dire consequences for patient safety. This is now becoming a reality with the warning from wholesalers that there is an imminent danger of pharmacies failing and patients being unable to obtain their medicines. “From a recent survey of our members we were truly shocked to learn that many of them have had to use pension funds and savings to plug gaps and pay suppliers and keep providing medicines to their patients. “What is more difficult to understand is the fact that we have political support across the board for an improvement of the pharmacy contract, as well as direction from the last Health Minister Michelle O’Neill to sort this out. MPs and MLAs have called for Community Pharmacy under-funding to be urgently addressed. “Consistent underfunding of the community pharmacy network means that many community pharmacists can no longer afford to keep to their credit terms with suppliers and wholesalers. “These are pharmacists who have been running successful pharmacy businesses for years but who now face having to ask wholesalers for extensions to credit terms because the Department is not paying them adequately for the medicines they dispense. “If wholesalers have to start refusing credit to community pharmacies this could affect all types of medicines and we have no idea of what types. At the moment, all medicine supplies are at risk. “At a time when the health service is under severe strain, pharmacists provide a walk-in service that requires no appointment. That is of massive importance to many people, not least of which are those who are older, vulnerable and take a combination of medicines for complex conditions. Pharmacists provide fundamental advice and support to those people to ensure they manage their medicines in a safe way.